Rack area and rack designs. 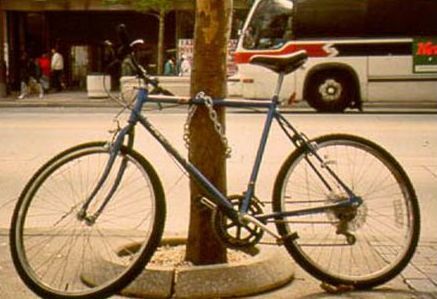 Provide well-located, secure bicycle parking at popular bicycling destinations. Require new commercial, public, and high-density residential developments to include bicycle parking. Install parking on public property. Encourage businesses to provide parking. Change zoning regulations to ensure that parking is provided in new developments. Ease of access and avoiding conflict. Types of permitted rack designs. 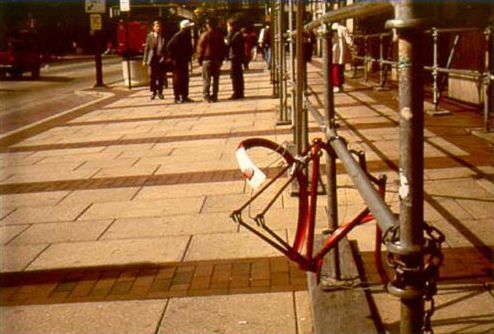 Bicycle parking is an important supporting element. Bicycle parking should not just happen—it should be part of a larger implementation strategy.